When eBay split with PayPal in July 2015, eBay CEO Devin Wenig knew the company would have 5 years to wean itself from its former subsidiary's service. Three years later, eBay is inviting some sellers to participate in its new managed payments solution, yet crucial functionality is lacking from the beta product. Last month when sellers reported back from eBay's seller conference with the news eBay would not allow beta participants to offer PayPal, it raised some eyebrows. Now we learn it's because eBay isn't prepared from a technology standpoint. In a broadcast on Wednesday, eBay Senior Director of Global Payment Services Keala Gaines said Apple Pay would be offered, because it was in some sense easy. She said PayPal is super-important to eBay and one eBay is really working hard on, but "it's just not going to be ready quite yet." "It's a new integration for us," she said of PayPal. Some might ask why, if eBay is so hard-pressed to prepare APIs, did it devote any time to integrating with Apple Pay instead of devoting all of its resources to ensure PayPal would work? Steve Fisher, eBay's former Chief Technology Officer and now Senior Vice President of Payments at eBay, said in a recent post, "Apple Pay is one of the most ubiquitous forms of payments and provides users with an easy, fast and secure way to pay." To say that sounds like a stretch is an understatement. "Global Shipping program is an integration with a third party, and it's one we just haven't gotten to yet. We really needed to nail down some of the foundational capabilities in the product, and then the next step is to actually turn those into APIs that will be extensible to our third-party developers and our partnerships so that we can make things like GSP - the Global Shipping platform - absolutely work." She was also asked about GoDaddy integration (for those who use its bookkeeping service), she reiterated eBay's need to prepare APIs. "It is a priority, but it's something we're going to need a little time to do." When can sellers expect to be able to offer PayPal in eBay's managed payments? 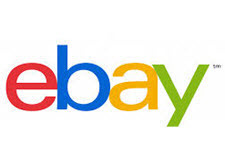 eBay spokesperson Ryan Moore told EcommerceBytes, "Accepting PayPal in the managed payments model is a priority for us and we expect to accept PayPal as a form of payment in summer 2019." If you've been invited to test the eBay managed payments program, go in with eyes wide open. According to reports coming out of eBay Open, once you opt in, you won't be able to opt out. Wow. That seems pretty clear this new payment system is more than likely going to have huge problems. If they cannot address all the system errors, how in the heck are they going to be ready handling our money? More and more I'm starting to believe the theories that eBay is slowly pushing the small sellers out of their marketplace. We must be a "liability" to them. Etsy must be seeing a large increase in new sellers because they seem to all of a sudden be making changes that follow suit with what eBay has been doing. Those who have blindly opted in should start packing their bags. Expect your business to be greatly affected. Very deceitful of Ebay not to reveal vital information that will surely have a big impact to sellers bottom line and livelihoods. I am sure those who have already opted in were the most trusting Ebay can do no wrong supporters. If eBay will pull this dirty stunt on their most avid fans, what does that tell you about the rest of us? The good employees were forced out of Ebay. Incompetents like Keala Gaines were given promotions not because of their abilities, but because Wenig and fisher find them non-threatening, and easy to throw under the bus when everything falls apart. Fisher had no success at anything in his life before he was granted an executive position with Ebay. He hasn't gotten any smarter or more qualified. He's an unaccomplished lawyer helping Wenig and the rest steal. Also as long as Ebay offshores the technology contracts to India, it will be nothing but failure. The first thing a new Ebay CEO should do is bring the tech contracts back to the US. Lol! Peter Principle alive and well at ebay. More lies and deception "It's a new integration for us," she said of PayPal. Smart sellers that opted in and can't get out will list everything on another eBay ID. This BS will fall apart with in 30 days of being implemented. . .
eBay's lost what little mind they had left. They want to chase away what few buyers are left. Does anyone here have Apple Pay? ebay stock dipped a sizeable 40 cents after hours today. This news could have been the catalyst. To clarify, Steve Fisher is not a lawyer and has a tech background according to his LinkedIn profile. 'Accepting PayPal in the managed payments model is a priority for us and we expect to accept PayPal as a form of payment in summer 2019." Well thats not much of a PRIORITY, now is it? If I had to guess (based on answers Ive gotten from programmers) ... its all ON PURPOSE. Being that eBay and Paypal were once "one" (LMFAO like they arent NOW) - Paypal has access to eBAy APIs and systems. While eBay adds Adyen into "the system" (aka they add a 64k RAM extender to the VIC 20s they run), they dont want Paypal being able to sneak around the system. Im sure there are various back/side doors that Paypal could use to see how Adyens implementation works. eBay HAD to lie about it - may be not in so many words - but at least "demphisize the point" or no one would try the Beta. eBay ISNT honest, never has been honest, never will be honest - so thats the plan of action - lie cheat and steal. Steve Fisher is like the Mohan - an egghead engineer/computer scientist and not a lawyer. Why hes put in charge of this (or anything) is baffling - as he wouldnt know anything about the job .... typical eBay. Dont Mess With the Mohan meets Steve Fisher Price ... no wonder eBay stock cant get back to 42! I learned 30 odd years ago to not get into any Beta tests when I was using CompuServe as my ISP. From what these "'geniuses", or as I have called many like them for years as IT idiots, are saying it looks like that they are not set up to even do an Alpha test. They are still stuck in the sandbox but the Devil (Charlie Manson Eyes) Wenig told the share holders that it was going to be implemented this fall on a trial basis, so screw the sandbox, screw the Alpha, full speed ahead on the Beta! What a bunch of absolute morons who can't even fight their way out of a paper bag. I know you are reading this and you need to find out for sure if you can not back out of the Beta test. If you can then Bravo but if you can not fire up that other account you have to move your items because the ability to not have PayPal in the Beta will be the death knell for anyone involved. I was also asked to join the Beta test but I did not reply since I never do Beta testing unless I am paid to do it period! There was no "opting" in for the beta test yet. What sellers received was an option to be put on a list for the possibility of being a beta tester. When it comes time, Ebay will be sending more info and a formal request. You can then get to opt if you so choose. What will I have to do to sign-up? Your invitation in September will take you to a sign up page for a quick and easy enrollment process. After you enter a few personal details like preferred bank account for payouts and your social security number to verify your identity, we’ll manage the rest. We will automatically update your existing account and listings and transfer your existing listings to the new payments model. For new listings, we’ll ask you to use Seller Hub’s listing page and any existing listings APIs you use. Will PayPal be supported in managed payments? We expect to be able to accept PayPal as a form of payment in summer 2019. If it wasn't for causing unnecessary confusion and trouble for sellers eBay management would have no purpose at all! Amazing they managed to hold the place together this long. "For new listings, we’ll ask you to use Seller Hub’s listing page"
Yes, Devin is forcing sellers into the abomination of Seller Hub, so this means in the end all sellers will be forced into Seller Hub as this is the only way you will be able to sell on eBay (Amazon Clone). Devin is so stupid and actually thinks if he duplicates Amazon's interface and product pages, that he will put up similar growth numbers as they do. The man is lost, what this is going to do is turn eBay's flat numbers negative, there will be no growth, there has not been any growth for nearly a decade now. Donahoe's 10% tax on shipping is the only thing that has kept eBay's numbers positive for the last 6 years. "Dont Mess With the Mohan meets Steve Fisher Price"
So unless sales pick up real fast I am done. Wonder if that will get me out of Sellers Hub. I really think that once they get a new CEO in there that sees how far behind all of this programming that should already be done is, they will can this program and probably even the Payment intermediary as it will leave Ebay wide open for legal actions. I cannot feel sorry for carrot jumpers. They deserve whatever they get whether it be good or bad for them. They are the ones that makes the rest of us pay more fees. Beta test = eBay throwing their cheerleaders into the volcano.